Any renovation work must be preceded by a thorough asbestos check. 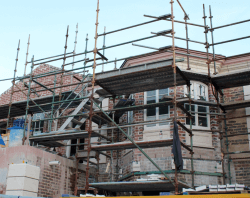 Instead of allowing a licensed contractor to remove the building’s asbestos insulation boards under controlled conditions, the council sent staff from the decorators to perform the work. The hazardous material was subsequently spread around the site by the staff, posing a serious threat to everyone on site. “Refurbishment and demolition work must be planned and carefully thought through, especially where asbestos may be present,” he said. “As a result of these failures [the decorating firm’s] employees, and potentially other tradesmen on site, were exposed to harmful asbestos fibres,” Mr Cooper concluded.